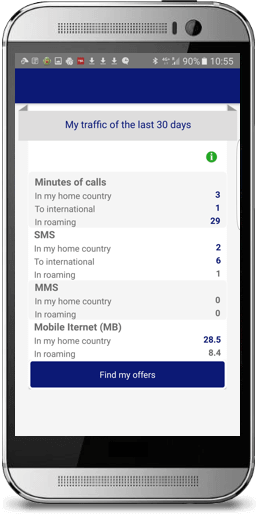 Showcase your mobile tariffs to acquire new customers. 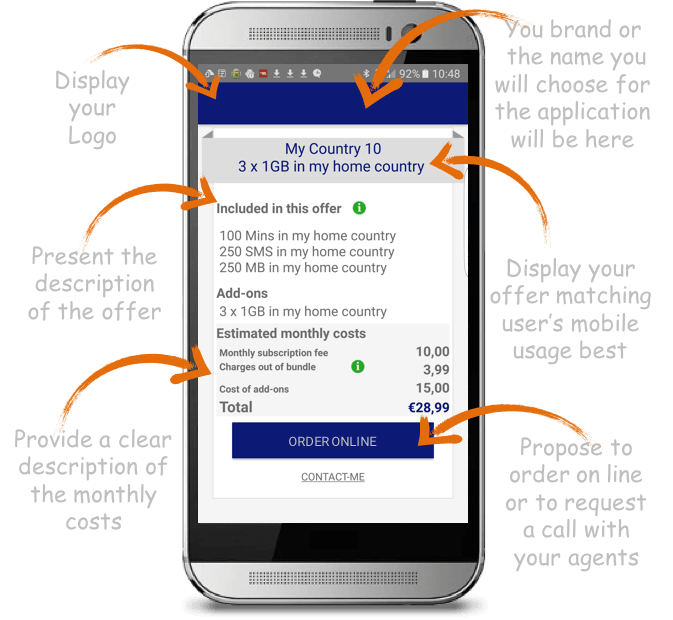 Showcase your mobile subscriptions right on consumers' smartphones and make them choose you! Use the traffic data captured on your potential customers’ smartphones to provide them with offers that match their mobile usage best. Call users to action at the right moment and in the right context through SIMTricks app installed on their smartphone and available 24/7/365. 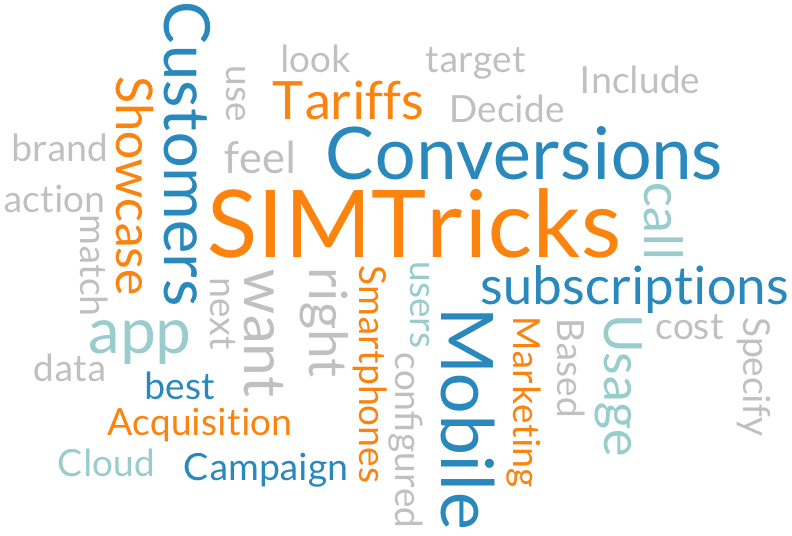 Specify the look and feel of the app, decide on the tariffs you want to showcase and include SIMTricks in your next marketing campaign. SIMTricks is a 100% cloud based managed service. By identifying the most suitable offers from your portfolio for each individual prospect. By presenting on screen what they would pay for each subscription and add-on combination provided by your services. Facilitating the users’ decision and avoiding troublesome estimations on their part. SIMTricks is customised with your logo, colours and media to become an extension of your brand. Extend your self-service through the SIMTricks app installed on your target customer's phones and available 24/7/365. Go to Market As Easy as One, Two, Three! Customise the application according to your preferences, incorporate the questions you want to ask, and create a landing page on your website for requests originating from SIMTricks. Let us know your subscription details and we will configure them for the application. 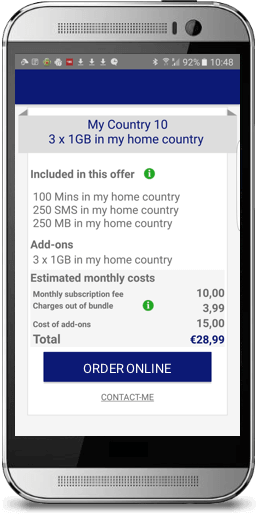 Invite your customers to experience for themselves the cost effectiveness of your mobile subscriptions through the use of Simtricks. Download SIMTricks from the Play Store and try it now!